Are you enamored by the RV lifestyle, but not quite sure where to start when it comes to looking for one? Does the array of floorpans and RV types have your head spinning? Find yourself wondering which RV is right for me? We’ve worked with thousands of RVers and hands down the hardest part for anyone buying an RV is choosing the right type of RV. Once you know the type that you’re interested in you can go about finding the best floorplan for you. 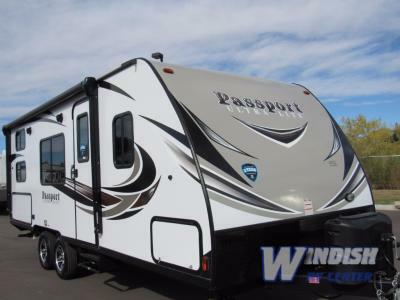 Here’s a rundown of the different types of RVs for sale at Windish RV. Motorhomes are the most common types of RVs people think about when considering the hobby. 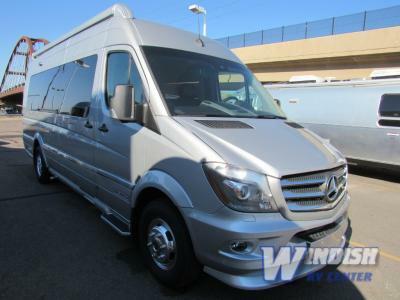 These are the types of RVs that are built on a chassis and simply require you to hop in and drive off. There’s no hitching required. Motorhomes can further be broken down into class A, B, and C motorhomes. Class B and C motorhomes are built on van chassis, while class A motorhomes are usually larger and longer. Travel trailers are available in super lightweight models and can sleep anywhere form 2-12 people depending on the floorplan and model you choose. The RVs are capable being towed by any vehicle that has a hitch. And because many travel trailers are lightweight, families today can tow them using their mini van or crossover vehicle. The fifth wheel is often more luxurious and can be found in standard and lightweight models. One of the biggest differentiating factors between the travel trailer and fifth wheel is how they are towed. The fifth wheel requires a special hitch in the back of your truck bed, which allows for a more stable towing experience as well as easier turns. Rear Ramp In Closed Position. 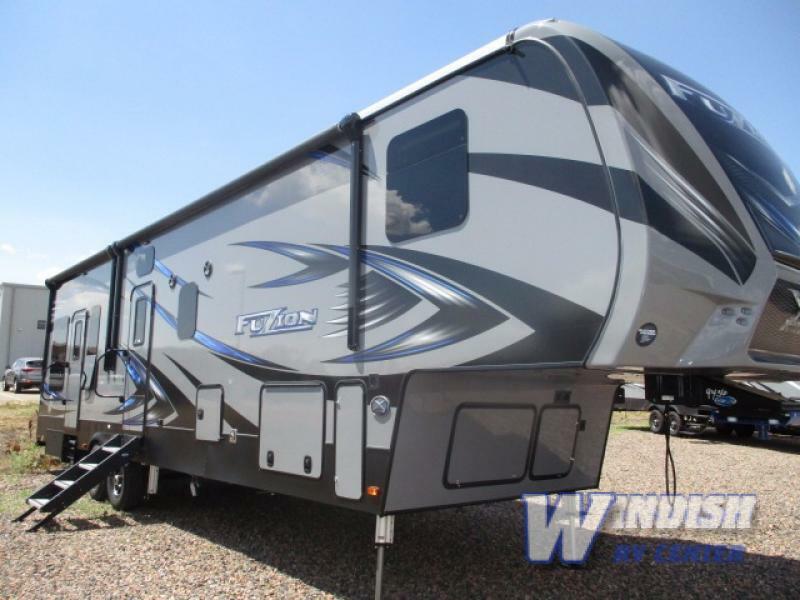 A favorite among active families, the toy hauler is available as a fifth wheel or travel trailer. These RVs feature garages that allow you to bring along your toys. Whether you enjoy dirt biking, ATVing, or jet skiing, the garage in the toy hauler keeps your toys safe both on your way to your destination and while you’re there. 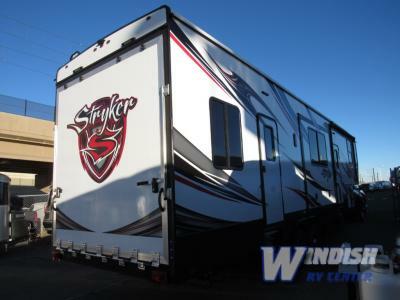 If you’re interested in learning more about our selection of RVs for sale, contact us. We can answer your questions and help you determine which RV type is best for your family’s needs. We can also walk you through RV financing.